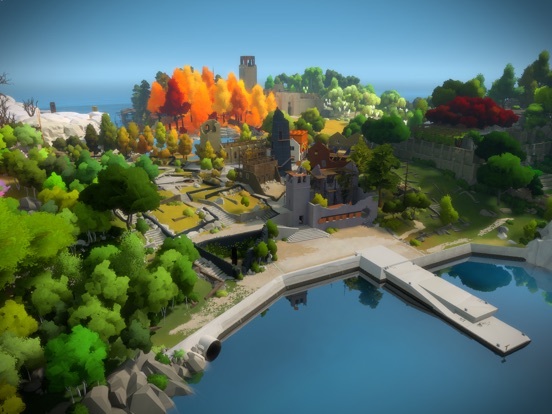 The Witness, iPhone and iPad game, is a single-player game in an open world with dozens of locations to explore and over 500 puzzles. The Witness have won Game of the Year picked by Apple in BEST OF 2017 collection. It has a Mac App Store version as well. 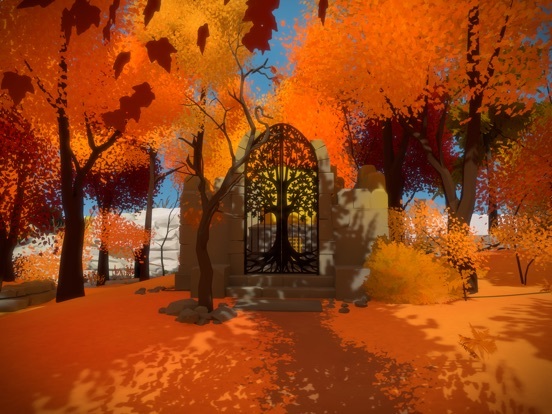 Bravo, The Witness - App Store BEST GAME OF 2017: Game of the Year. 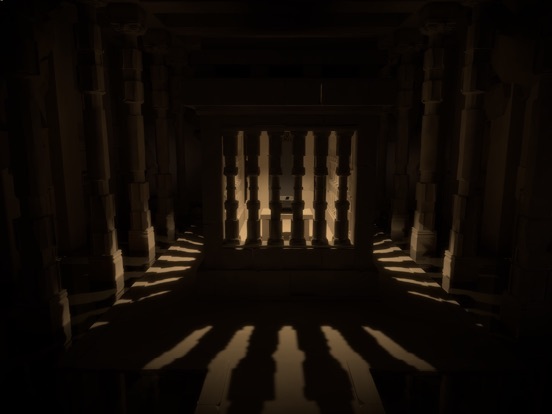 The Witness is the 2017 iPad Game of the Year because: It's one of the best puzzle games of all time. 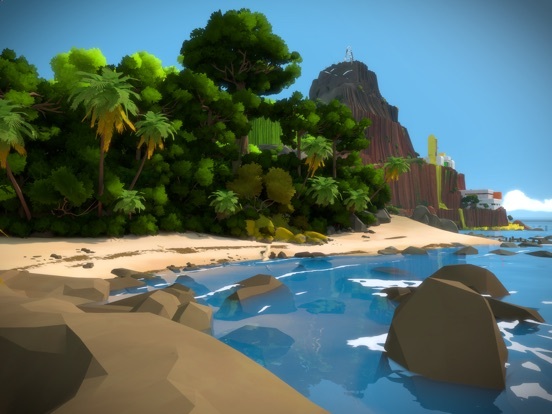 What makes The Witness unique? Its utter faith that you will overcome and unravel the game's countless mysteries. Answers are not always obvious. Some obstacles are going to sump you--at least until you comprehend the logic behind them and persevere. Although The Witness asks a lot, it gives back just as much. Your successes are thrilling because you genuinely earned them--and each solution offers more insight into the immense world. You wake on a picturesque tropical island devoid of people and animals. It's overrun with high-tech panels, each representing a different conundrum, all interconnected via electrical wires. As you investigate and engage with the island over the dozens of hours of gameplay, it's hard not to be awed by the design. And, of course, by the sheer beauty of the lush location, drenched in pastels, with detailed vegetation, shimmering water, and ambient lighting. But just as wondrous are the puzzles are their relationship to this world. Each challenge is purposeful, with intent and meaning in everything. You just have to figure out why. Director Jonathan Blow and studio Thekla have crafted an intuitive control scheme that works brilliantly with iPad's touchscreen. Tap on a location and the game handles the rest. Interacting with the puzzles is as intuitive as tracing lines with your finger. 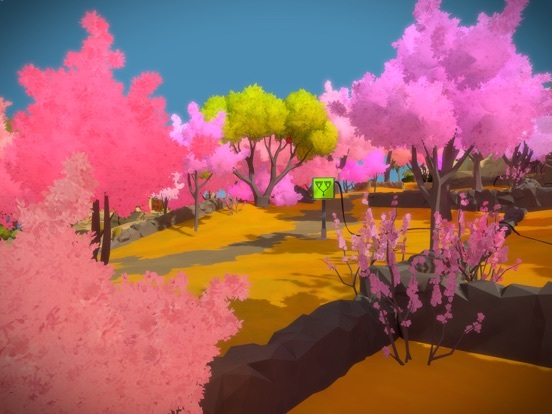 The Witness,ultimately, is a game about epiphanies, where every "aha' moment is accompanied by a "wow"